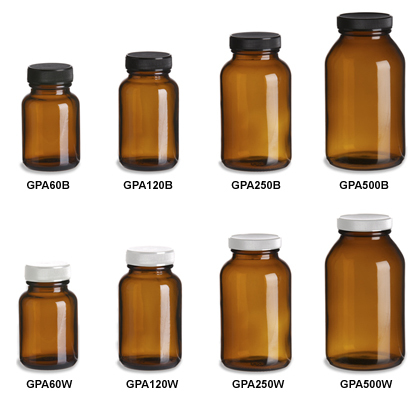 Amber glass vitamin bottles, also known as glass packers, are available in sizes from 60cc to 500cc and with lined white or black cap. Packers are the preferred choice for pharmaceuticals, vitamins, and other supplements and provide good UV protection. All prices include applicable cap.